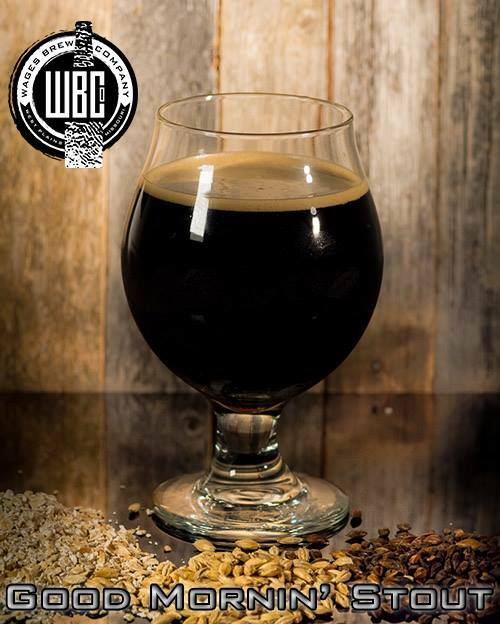 Wages Brewing Company and Taproom (since 2016) is West Plains first craft beer brewery, and our taproom is the neighborhood social house. Enjoy our selection of handcrafted beers, soda & kombucha, hard to find guest bottles, local wines, and top shelf spirits while chatting with friends or family or playing our collection of table top games in our relaxed & inviting taproom. While we have a bar, we are not a bar, so bring the whole family! 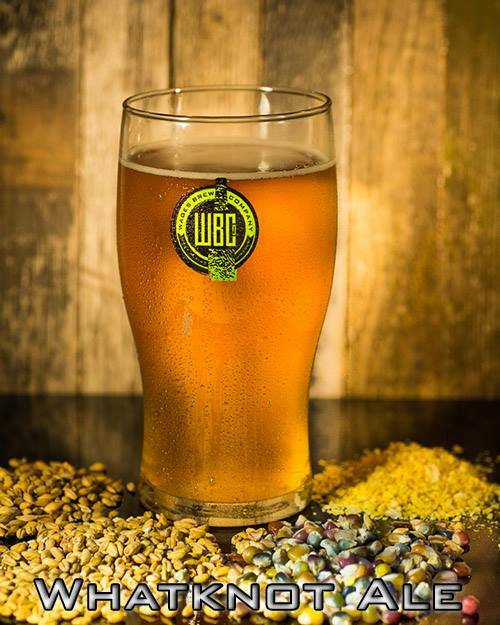 One visit to our taproom, and you’ll know why we say, the middle of nowhere never tasted so good! See our upcoming events below, or get full details of these and more on our Facebook events page! 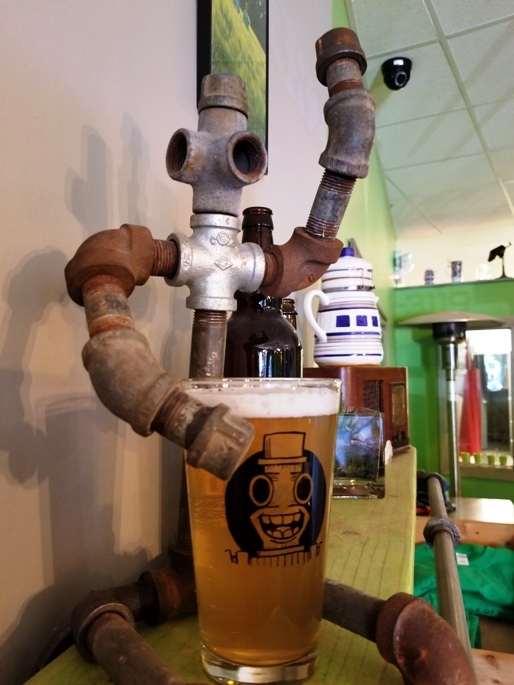 At the brewery, we have a fun atmosphere where you can feel comfortable with no loud TVs, no smoky bar, just good clean craft beer loving fun and social interaction! We’ve got trivia, CAH, board games, and playing cards available. Feel free to BYOGames. Wi-Fi is free and fast! Our walls are decorated with local artwork and photos from our humble beginnings. We have three year round selections (Whatknot Ale, Good Mornin’ Oatmeal Stout, and Landlocked IPA), and rotate our other six drafts with beers like Front Porch Porter, Lemongrass Wheatknot, Midnight Saison, Mississipecan Brown, Blackberry Whatknot, Lavender Saison, all sorts of IPAs (hazy, rye, black, session, experimental, etc) and so much more! We sometimes bring in guest taps when we can get special releases of awesome. We also maintain a hand picked guest bottle list. We only carry stuff that we don’t make ourselves and that we know is awesome (especially sours, brett beers, imperial this-and-thats, and seasonals). Virtually every guest tap or bottle we carry is unavailable anywhere else in the area! We even carry local wines, ciders, and a limited selection of spirits so everyone can have a great time at our taproom. Since August 2018, we’ve worked with The Ozarks Grill who provides delicious inside dinner service like tacos, burgers, pizza, and more (with a kid friendly menu). Not to mention monthly chef beer dinners and occasional “pop-up” chef weekends. 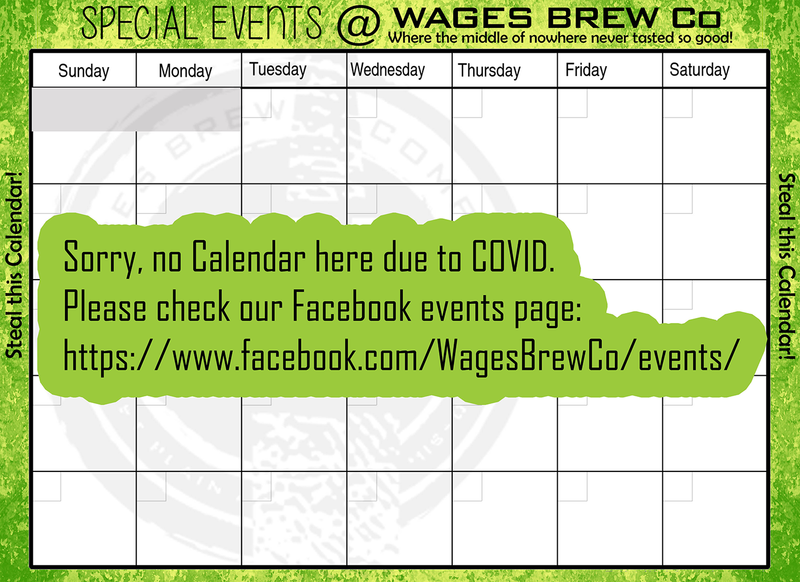 Be sure to check our Facebook events “dinner” event page for what’s coming up. Enjoy our outdoor biergarten including custom bag toss game! Check our Facebook for our current events including live music, game nights, community events, and too much more to list here. In June 2018, we added our permanent outdoor biergarten! We also signed with Great Rivers Distributing so we send a limited number of kegs out to restaurants, local bars, and festivals. Keep your eyes peeled for our “green handle”! Our next goals are expand our brew production to better service our Ozarks! 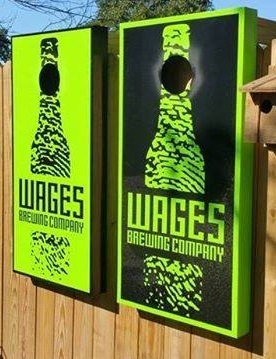 Whether it’s new beers, live music, dinner, or games, there’s always something fun happening at Wages Brewing! 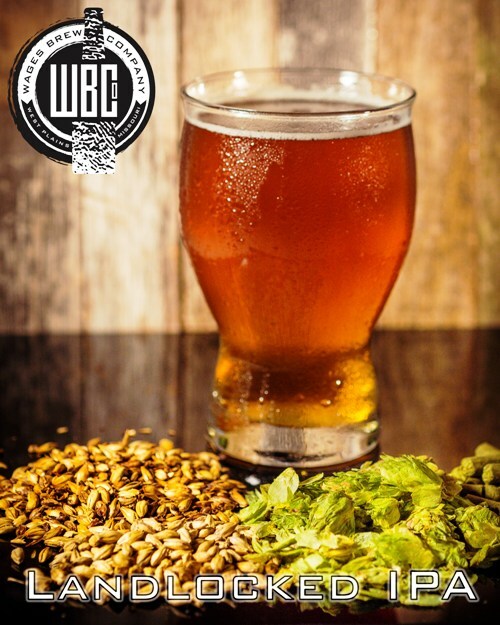 Be sure to follow us on Facebook for all the latest details, or join our email brewsletter by emailing phil (at) wagesbrewco (dot) com.